WrestleMania 35 is going to be a big event and they are going to need a very large stage to house the 13 plus matches on the show of shows. 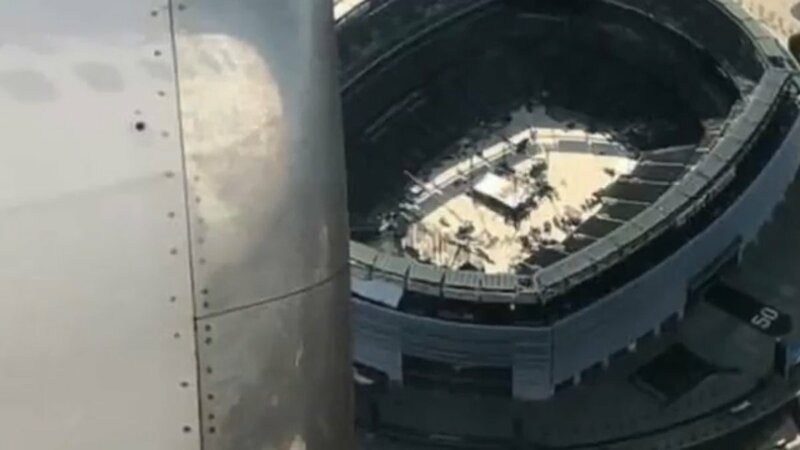 Thanks to an aerial view of the stadium, we can see that WWE is already laying the groundwork. WWE always sets up a canopy when they are doing outdoor events and it looks like that is exactly what is going to happen again this year. They have a plan in case the weather is bad, but the show must go on. With less than two weeks away, they still have some time before the big event. However, the fact that they are getting to work on things this early could be a sign that we are in for a real visual spectacle next Sunday. If this doesn’t get you excited for WrestleMania, then I don’t know what will. WWE did their best to book a good event this year, but they had a lot of unexpected events along the way. At least it looks like the stage is coming together easier than the card did.